Start with red, white, and blue(berry)! There's tequila, and then there's Tequila! And then there are a whole host of fun drinks to make with it. 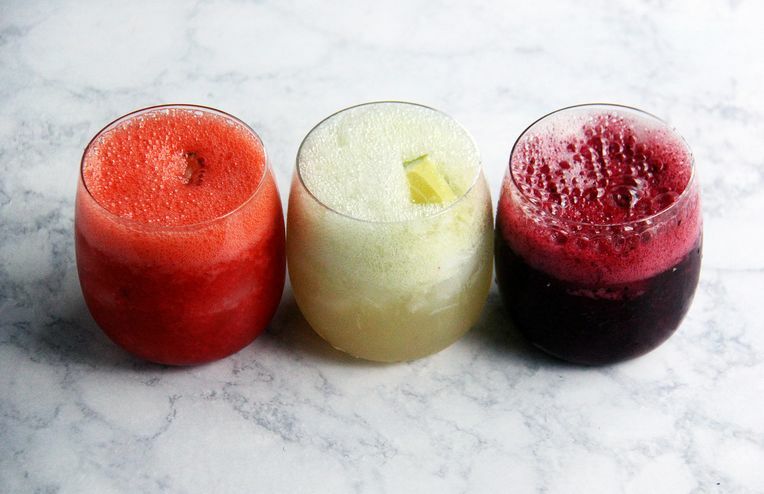 Get on a first name basis with sangrita, your new party staple. Our three-part summer drinks booze cruise is setting sail. First stop: tequila. The secret to the best eggnog? Don't use rum. The time is now -- bring new life to your tequila. Merrill reimagines the classic tequila cocktail, the Paloma. Erik Lombardo, bar manager of Maialino in New York City, teaches us all about tequila. We're talking tequila cocktails -- and giving away a chance to dine at the next Patrón Secret Dining Society.